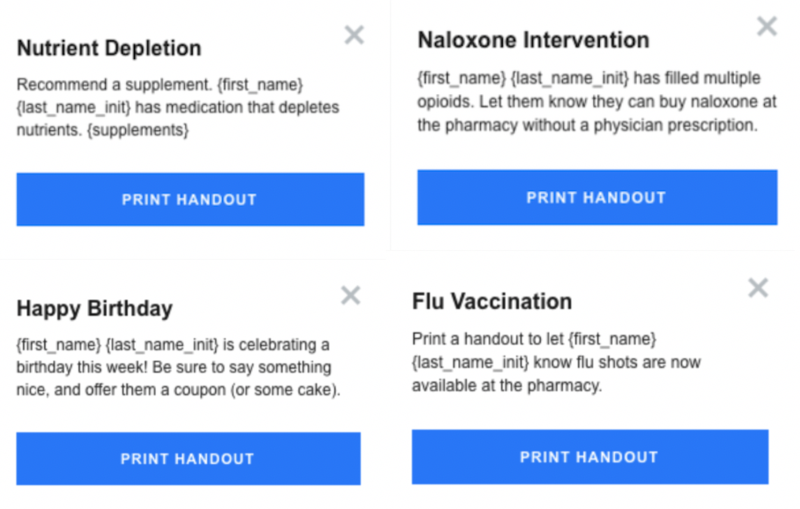 Once Amplicare Assist integrates with your pharmacy system, you should begin receiving notifications on patient-specific opportunities. Here’s a breakdown of the different notifications and what actions you can take for each. Low Adherence: Review the drug list for patients flagged as having low medication adherence. Print an educational handout for the patient with the option to include a Med Sync enrollment form. Gap Therapy: Statin: Print an educational handout for patients who may benefit from taking a statin or fax a letter to their doctor. Eligible to Enroll: Print a letter for newly eligible patients to help them understand their Medicare options. 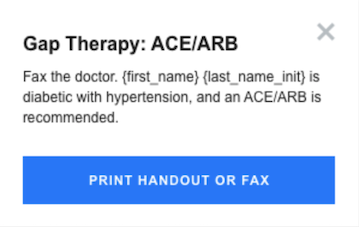 Gap Therapy: ACE/ARB: For patients who may benefit from an ACE/ARB, print an educational handout and fax a letter to the doctor requesting a prescription. 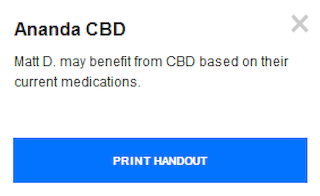 Amplicare Restore (if applicable): Print educational handouts for patients who may benefit from supplements (nutrient depletion, naloxone, CBD, or vaccinations. Handouts are also available for special birthday offers. These actions require very minimal time and fit seamlessly into your pharmacy's workflow. Patient letters that are printed can be stuffed right in the patient's prescription bag! To get your staff up to speed on how to address these notifications, print the Assist User Guide to follow. Learn why Amplicare Assist is important for your pharmacy and what you need to do to ensure it is set up correctly.